Conceal your valuables in plain sight with Hyper-Realistic Can Safes. Each Hyper-Realistic Can Safe is manufactured from the original product's packaging making it indistinguishable from the "real" thing. Store valuables such as money, jewelry, passports, and credit cards where criminals are the least likely to look — in plain view. Unscrew the bottom of the Hyper-Realistic Can Safe to access your contents. Completely indistinguishable from the "real thing"
Criminals know that most people store their valuables in their bedrooms or in a safe. 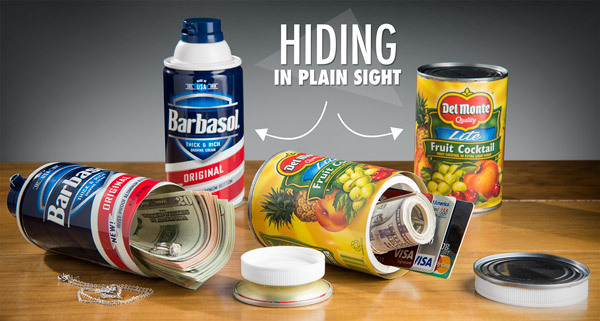 By transforming common household items into storage containers, you can conceal jewelry, money, passports, credit cards, and other valuables in plain sight — the one spot where thieves won't ever think to look! Diversion Safes are impossible to distinguish from "real" products. Hyper-Realistic Can Safes are identical to their "real" counterparts because they're made using the original product's packaging! Burglars will never suspect that your valuables are hidden inside the household items in your pantry or bathroom. Thieves and snoops would be hard-pressed to distinguish the "real" cans from the can safes. 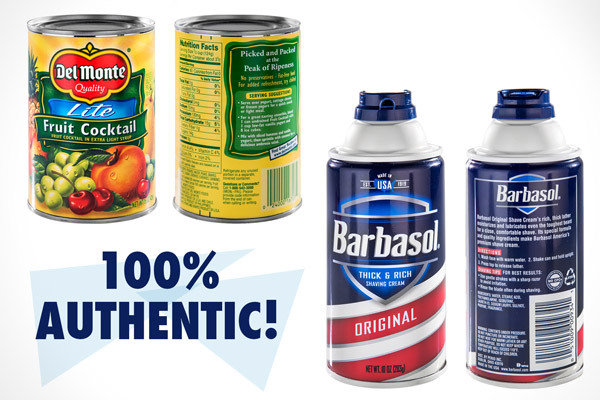 In our offices (where we are fully aware of the existence of a Hyper-Realistic Can Safe), nobody can accurately determine which can of Barbasol is "real" and which is a Hyper-Realistic Can Safe. Truthfully, the only way to tell the difference is to pick one up and attempt to unscrew the bottom. Simply unscrew the bottom of your Hyper-Realistic Can Safe to access your valuables. Our Hyper-Realistic Can Safes are made from actual product packaging to maintain 100% authenticity. 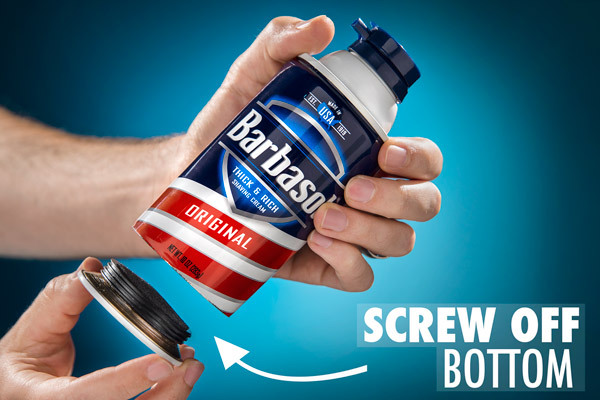 The manufacturer isn't copying the look and feel of Del Monte and Barbasol; rather, they are converting Del Monte and Barbasol cans into safes. Brilliant! The Hyper-Realistic Can Safe is made from original product packaging. Question: But won't thieves now know to look at my Barbasol and Del Monte Fruit Cocktail cans for my valuables? Answer: Our site doesn't get as many page views as you may think :). In all seriousness, please note that diversion safes are not very common. Plus, the companies that make diversion safes typically offer hundreds of different styles. 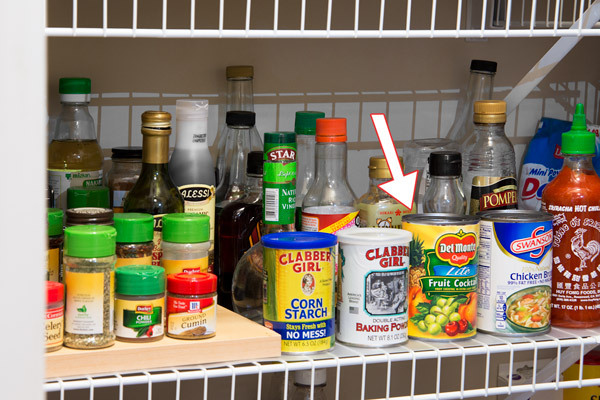 So, your intruder would be wasting valuable time trying to unscrew the bottoms of every canned good in your house. The bottom line is that hiding your valuables in a diversion safe may be far more effective in thwarting a thief than stashing them in an easy-to-spot safe. 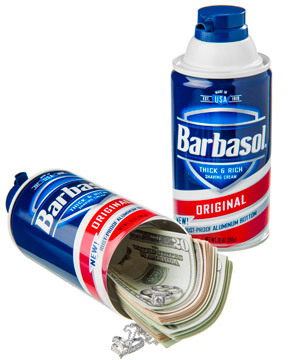 Question: Does the Barbasol can still work? Does shaving cream come out of it? 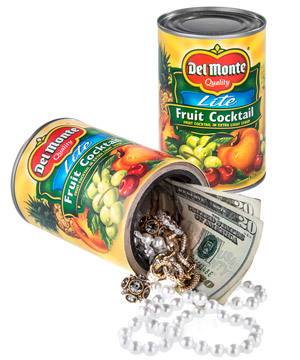 Question: Is there still fruit cocktail inside the Del Monte safe? Answer: Not unless you consider canned Fruit Cocktail to be a valuable. Question: But I have a $10,000 necklace. I'm not putting that in my pantry! Answer: We've heard of clever homeowners who put costume jewelry in their traditional safe and stash the "real" stuff in one of our diversion safes. Imagine the look on the thief's face when they try to pawn your $10 "pearls"! Question: How much room is there inside each safe? Answer: The cans are entirely empty. You can review their dimensions at the top of this product page.